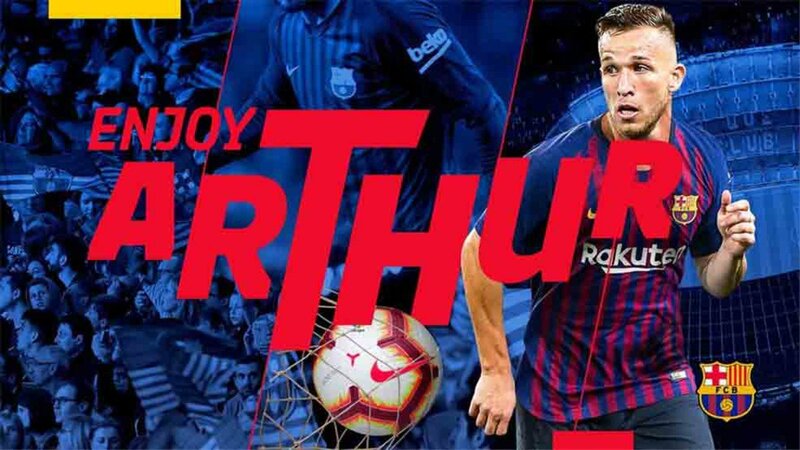 Barcelona have made their first signing of the summer, completing a deal for Brazilian midfielder, Arthur Melo, from Gremio on a six-year contract. Barca and Gremio had originally agreed for a deal to be done next January, but the transfer has now been fast-tracked. The decisions of Andres Iniesta and Paulinho to leave the club opened up a space in midfield. In an official statement, the LaLiga champions said the transfer fee for the 21-year-old was €31 million, with €9m more in potential bonuses. “The player will sign a contract with the club for the following six seasons, until the end of the 2023-24 campaign,” the statement said. It is being reported that Barca had to pay an additional fee of about €1m, in order to complete the transfer six months early. “I did not participate in the negotiations, nor did I participate directly in my transfer – it has been a matter between the two clubs. “I will probably travel to Barcelona this weekend. There are still details [to be finalised]but I’m very happy to be able to wear the shirt of the club I have always dreamed of playing for, the biggest club in the world.